Fees are $60 for PAs and $30 for students for a 12 month subscription. Registering is fast and easy! 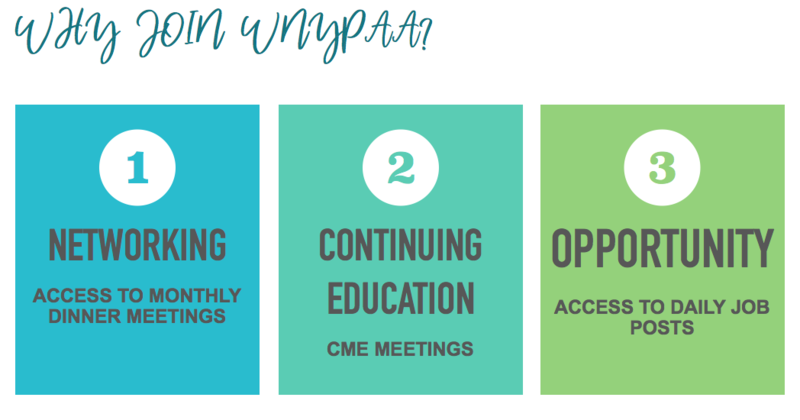 Membership to WNYPAA includes exclusive access to job postings, meeting and CME updates along with opportunities to network with local PAs. WNYPAA is a volunteer run non-for profit organization devoted to providing networking opportunities to students and healthcare providers in the Western New York area. The club holds monthly dinner meetings with a variety of clinical topics in the field of medicine to enrich the Physician Assistant profession. WNYPAA is open for membership to Physician Assistants, Physician Assistant students, Nurse Practitioners, Physicians and Pharmacists.